News Update: There is literally no sign of the Console War in China owing to the huge number of PC fans around. 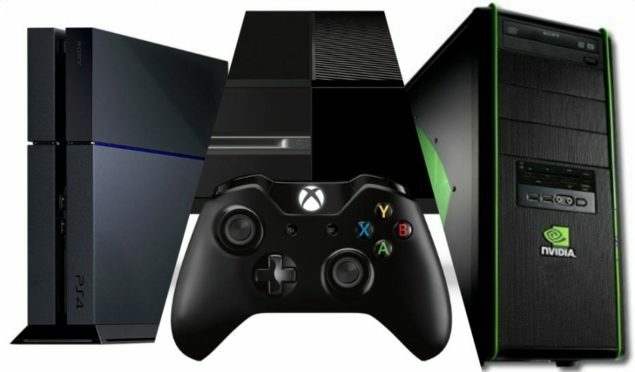 According to data released a couple of weeks ago by an Asian Gaming consultancy firm named Niko, the combined number of unit sales of the PS4 and the Xbox One, in China, are a “disappointing” 550,000 units for the half year 2015. Story: Globally, we have seen the two heavyweights of the console gaming industry battle it out for the ultimate glory for a little more than one and a half year now. We’ve seen enough now to conclude that neither one is backing down from the fight that we nowadays refer to as the Console War. According to the data reported almost a week back, we’ve seen that there is a huge difference of unit sales between the Sony’s PS4 and the Microsoft’s Xbox One (Given the fact that Nintendo’s Wii U doesn’t target the same sector of the market coupled with the facts that it released a year before both the PS4 and the Xbox One consoles and that it is still lagging behind, we’re going to ignore the Wii U’s sales figures). But this difference is not so long lasting as you might think. Recent reports have suggested that Xbox One is reviving its sales after an amazing E3 conference where in Spain, the Xbox One is said to have doubled its sales in the period following E3 2015. But that does not say anything about the Console War in China where the console sales are disappointing and as stated above, the PS4 and the Xbox One have had a combined unit sale of 550,000 units in China. This might just be due to the uncontrollable and ever increasing piracy rate in China as pirated PC games are only a small fraction of the price of the actual game. Whats more is that you can download these game off online torrent websites for virtually no cost at all. Hence, the massive popularity of PCs in China. The Chinese gaming market is very much adjustable at the moment and can be molded to the advantage of console giants like Nintendo, Sony and Microsoft. But it requires these giants to delve deep into the issues causing this problem and come up with a fix to tap into that enormous amount of potential that a massive market like China can bring into the Console War. Don’t be shy to share your own take at how Sony, Microsoft and Nintendo can exploit China’s gaming market and stay tuned as we bring you regular updates on the console war.